The young jazz veteran trumpeter Sean Jones believes passionately in championing the creative arc of artists who are committed to their life journey. “I think the progression of the art form comes with people being allowed to be themselves in their rawest form with no compromise,” he has noted. Singing and performing as a child with the church choir in his hometown of Warren, Ohio, Jones switched from the drums to the trumpet upon his first exposure to Miles Davis at the age of 10. Years later, he still cites Miles’ overall artistic vision and purity of sound as his greatest personal influence. He also credits the profound impact of hearing John Coltrane with cementing his course as a trumpeter, composer, educator, and activist. After receiving his master’s degree from Rutgers University, Jones had a six-month stint with the Lincoln Center Jazz Orchestra. This marked the beginning of a relationship with Wynton Marsalis, whose personal work ethic and ability to break barriers had already made a significant impact on the emerging artist. Marsalis offered Jones a permanent position as lead trumpeter with the LCJO and Jones remained there until 2010. A highly respected and in-demand musician, Jones has recorded and/or performed with many major figures including Joe Lovano, Chico O’Farrill, Illinois Jacquet, Jimmy Heath, Frank Foster, Nancy Wilson, Dianne Reeves, Gerald Wilson, and Marcus Miller. The relationship with Miller led to another highly impacting experience when Jones was selected by Miller, Herbie Hancock, and Wayne Shorter for their Tribute to Miles tour in 2011. 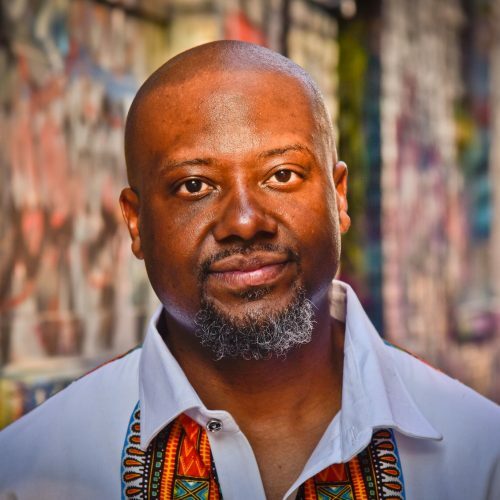 Currently, Jones is artistic director of the Pittsburgh Jazz Orchestra, Artist-in-Residence at San Francisco Performances, and a member of The SF JAZZ Collective. In addition, he serves as a member of the Jazz Education Network’s Board of Directors and was recently appointed as artistic director of Carnegie Hall’s NYO Jazz, which makes its Carnegie Hall debut and inaugural European tour in the summer of 2018. He has recently released his eighth recording, Live from Jazz at the Bistro, on Mack Avenue Records. Heavily involved in education, Jones taught at the Berklee College of Music as the chair of the Brass Department before joining the Peabody Conservatory as the Richard and Elizabeth Case Chair in Jazz Studies in 2018. He has also taught at Duquesne University and at the Oberlin Conservatory of Music, while regularly offering master classes and clinics all around the world.